Brooklyn punk rock. Their full length, No Vision comes out in May. You may have heard us talk about Fury on The Shape of a New Thing to Come. This isn't what I anticipated from them on their next album. More post-punk than I thought it would be. I'm seriously interested in hearing what else is to come on this release in May. This month, Adam, Dan and Jason talk with Josh Kemble, lead vocalist for the San Diego punk rock band, Dogwood. We talk about Josh's passion for food, how Dogwood got started and so much more. You can follow Josh's culinary exploits here. 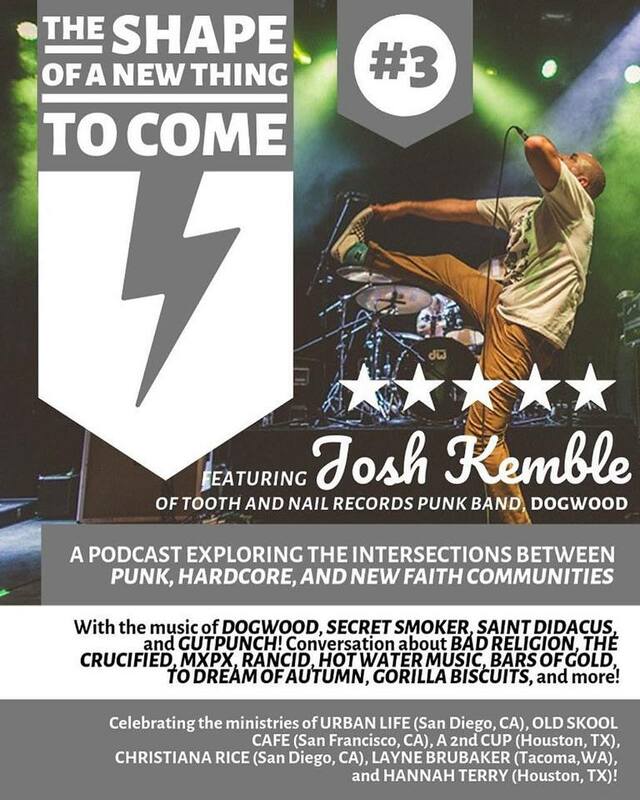 Thanks to Dogwood, Saint Didacus, Gut Punch and Secret Smokers for letting us use their music. If you'd like to hear the entire playlist of bands discussed in this episode, check out the Spotify playlist. Make sure to Like our Facebook page and tell us what you're listening to and what new faith communities might be inspiring you. Okay, it's been a long time since I've been excited about a Bad Religion song, let alone an album–the last one was, let's say ham-fisted. This aside, this track has me genuinely excited about the next album. Bad Religion previously mentioned here, here, and here.